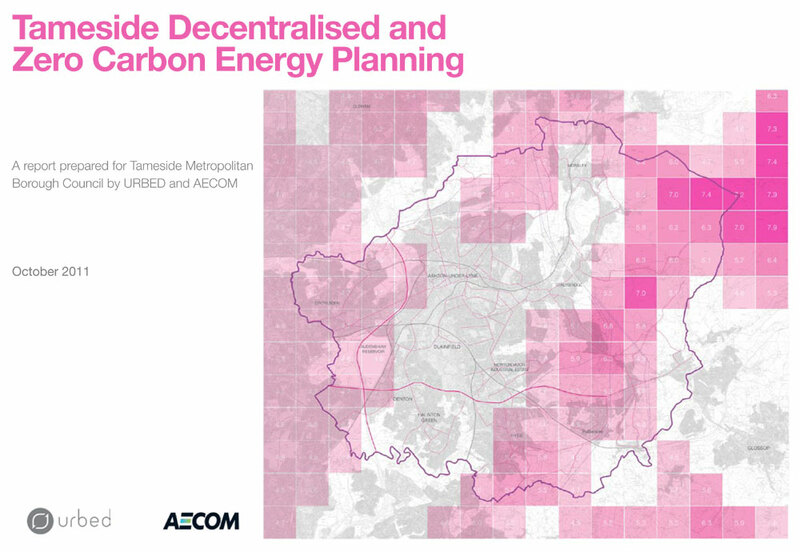 The aim of this study produced in collaboration with AECOM for TMBC was to strengthen Tameside’s evidence base for it’s emerging LDF Core Strategy energy policies. Consistency is required with the PPS1 Supplement on Planning and Climate Change and the AGMA Decentralised and zero carbon energy planning study. In line with the requirements of PPS1 Supplement on Climate Change and building on the Association of Greater Manchester Authorities’ (AGMA) ‘Decentralised and zero carbon energy planning’ study, Tameside wishes to strengthen the evidence base for it’s emerging Core Strategy energy policies. The Local Development Scheme currently anticipates adoption of the new Local Development Framework (LDF) Core Strategy in 2013 and this study will therefore form a key part of the evidence base. The study will therefore have an important role to play in helping the Council to put in place a locally specific evidence base for its LDF Core Strategy energy and carbon reduction policies and in supporting the implementation by Building Control of future revisions of Part L of the Building Regulations. But an equally important role will be to place this in the context of projections for future growth and development, and identify stakeholders who will need to be involved in making the strategic investment that will be required. The study creates the opportunity to relate these and other opportunities to local implementation of the AGMA target framework and Tameside’s emerging LDF energy policies.